A series of devastating mass shootings in 2015, along with recent federal action to enforce more stringent standards for background checks, has once again put the gun control debate in the public eye. In the wake of several high-profile mass shootings, on Jan. 5, 2016, President Obama announced a series of executive actions aimed at reducing gun violence, particularly cracking down on unregulated internet gun sales. In short, Obama has directed the U.S. Bureau of Alcohol, Tobacco, Firearms and Explosives to require firearms sellers to get a license and conduct background checks, even if the seller operates over the internet or at gun shows—both arenas for thousands of unregulated transactions. 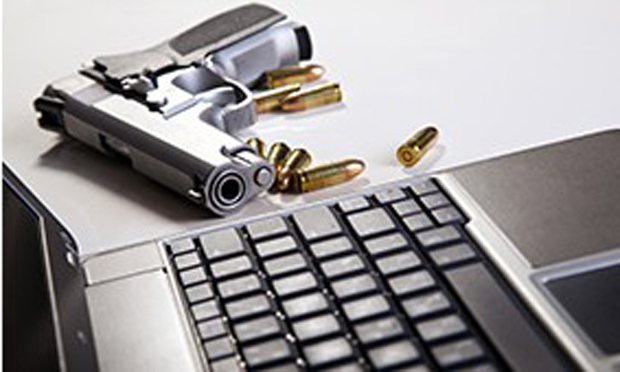 The perils of the vast, loosely regulated internet gun market are detailed in a study, “The Online Gun Marketplace and the Dangerous Loophole in the National Instant Background Check System,” published in the John Marshall Journal of Information Technology and Privacy Law in 2014. Study author Ann Daniels, who earned her law degree at John Marshall Law School, outlines the legislation that makes up the modern framework of gun control in America, beginning with the Gun Control Act of 1968. The Act identifies categories of people prohibited from purchasing firearms under Section 22—convicted felons, the mentally ill, substance abusers, foreign nationals or people who had renounced American citizenship, and people who had been convicted of domestic violence or were under a restraining order. The Brady Act of 1993 was an amendment to the Gun Control Act and mandated background checks prior to any gun sale by a seller with a federal firearm license. The law only applied to what it defined as “dealers,” however, and did not regulate the activities of private or occasional sellers of firearms. Next, Daniels discusses the online gun marketplace and attempts by Congress at gun legislation reform, beginning in 1999, shortly after the advent of the internet. She concludes by addressing policy implications of gun control advocates and opponents. Related research: A 2015 study, “The Effects of State and Federal Background Checks on State-Level Gun-Related Murder Rates,” used a large, longitudinal data set to determine whether firearm background checks are significantly correlated to gun-related murder rates and found that results were “novel and contrary” to those of much prior research on the subject. A June 2015 research roundup focuses on mass murder, shooting sprees and rampage violence. Keywords: mass shootings, unregulated online gun market, firearms legislation, gun control, Brady Act, Columbine, Virginia Tech, Newtown. Citation: Daniels, Ann, “The Online Gun Marketplace and The Dangerous Loophole in The National Instant Background Check System,” John Marshall Journal of Information Technology and Privacy Law, Summer 2014, Vol. 30. No. 4.